As part of an Open Project Fund award from Creative Scotland, a two-year pilot project designed to increase and enhance access to the garden both for the public and for artists. This website redesign was one aspect of that. Intended to make the physical garden and wealth of archived material easier to access. 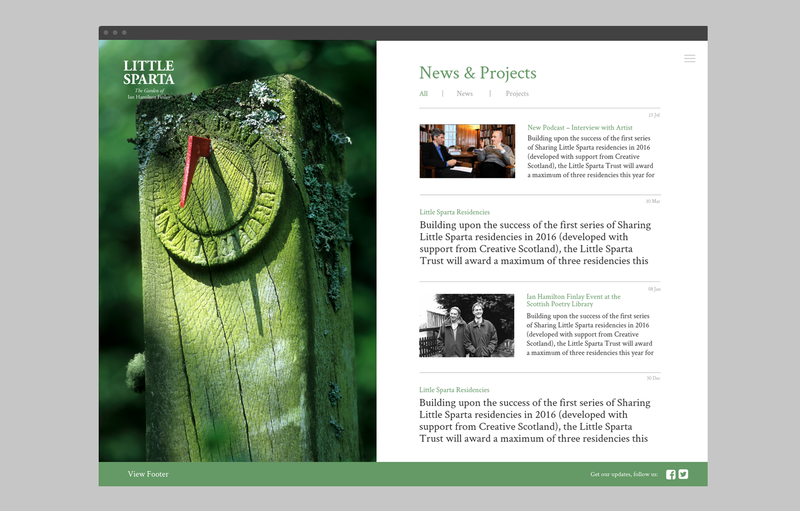 Including making it easier for the Little Sparta trust to inform the public of upcoming events and latest news. 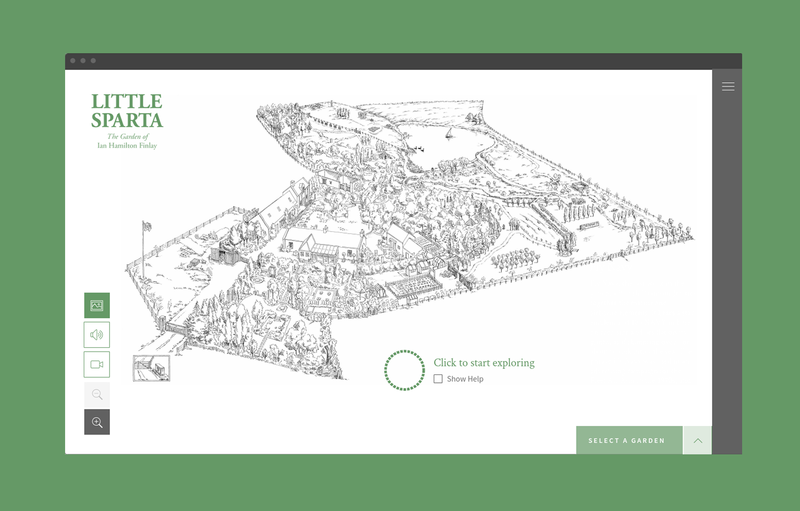 The website also included an interactive map intended to provide give a 'virtual' taste of what it would be like to be present in the garden through drone footage, images, and audio. web development, website deployment & drone footage capture.